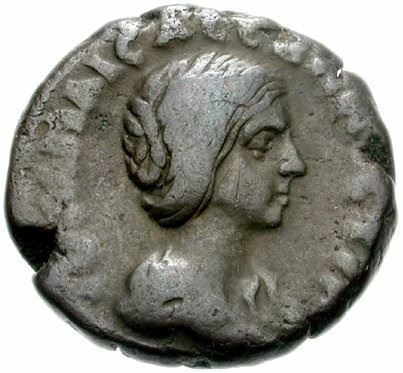 Julia Maesa was a Roman citizen and daughter of Gaius Julius Bassianus, priest of the sun god Heliogabalus, the patron god of Emesa (modern Homs) in the Roman province of Syria. As the grandmother of both the Roman emperors Elagabalus and Alexander Severus, she figured prominently in the ascension of each to the title at the age of fourteen. She was also the maternal aunt of the emperors Geta and Caracalla. Julia Maesa died on an uncertain date around 224. Like her sister Julia Domna before her, she was deified.